Kernville, CA: Sierra Trails, 1979. First Edition. Hardcover. Near fine. 8vo. Brown patterned cloth with gilt lettering and title label pasted to top board. 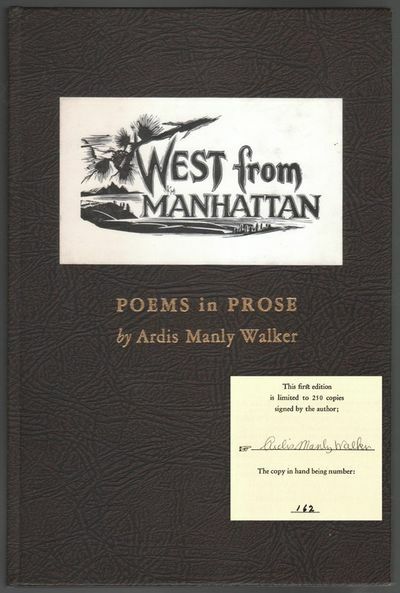 Signed and numbered to the rear limitation page (#162/250) by Walker, with three tipped-in woodblock engravings and engraved title page by Kirk Martin. Near fine with previous owner's gift inscription to the front free endpaper, otherwise clean, sharp, bright.